Rev. 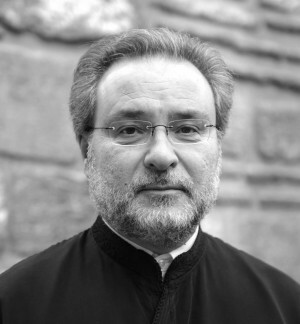 Dr. John Chryssavgis is Archdeacon of the Ecumenical Patriarchate and a clergyman of the Greek Orthodox Archdiocese of America. He currently serves as theological advisor to the Ecumenical Patriarch on environmental issues. Born in Australia, he studied theology and philosophy at Athens and Oxford, and taught patristics and church history in Sydney and Boston. He co-founded St Andrew’s Theological College in Sydney. The author of over twenty books and numerous articles in several languages on early ascetic literature and Orthodox spirituality, his recent publications include Beyond the Shattered Image: Insights into an Orthodox Christian Ecological Worldview (2007), In the Heart of the Desert: The Spirituality of the Desert Fathers and Mothers (2008), two volumes with the correspondence of Sts Barsanuphius and John published by Catholic University Press (2006-2007) and three volumes with the official texts of Ecumenical Patriarch Bartholomew published by Fordham University Press (2010-2012). He lives in Maine.